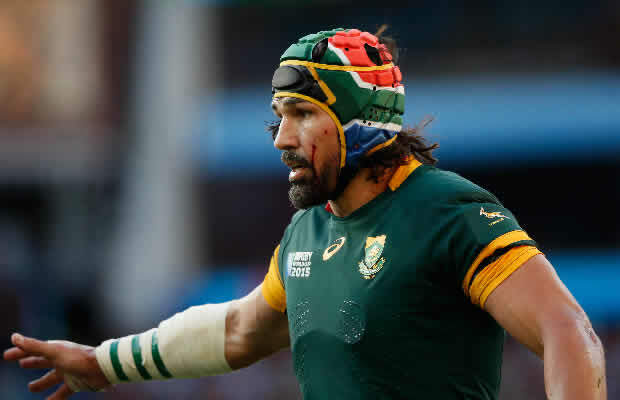 Springbok veteran Victor Matfield says that the next generation of South African rugby players will need to inspire fear in their opponents if they are to win another Rugby World Cup title. 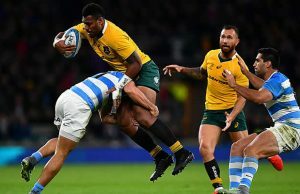 Thirty-eight-year-old Matfield came out of retirement last year with the goal of winning the world cup but that dream ended with South Africa’s 18-20 loss to New Zealand. South Africa will now play Argentina in the third vs fourth play off which is seen by many as a needless match which is difficult for players to “get up for” having been knocked out of the main race. Matfield said that it would be easy to get the squad up for the third-placed game though as for several players it will be the last time they represent their country. “It is never a meaningless game when you put on a Springbok jersey, but we will have a good break these next two days and then the coach (Heyneke Meyer) already said we will get together on Wednesday,” said Matfield. “There are quite a few guys who will have their last outing in a Springbok jersey so we would definitely like to make that special, make that a good last game for the most of us. His remarks with regard to the third place game contrast to those of Meyer, who made clear his disdain for the match. 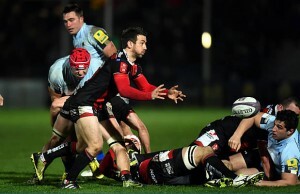 “Mentally, it’s very tough,” said Meyer in the immediate aftermath of the semi-final loss. Matfield, whose tournament was hampered by a hamstring injury, said the team had done well to come back from their opening loss against Japan and while they may have lost, they came extremely close to going through to the final. “It all started with Japan which was probably one of the darkest weeks ever,” said Matfield, who was man of the match when the Springboks won the trophy in 2007 beating the then defending champions England in Paris. “After that, although I didn’t play I had some of the best weeks with the Boks – just to see how the guys pulled together, how Heyneke (Meyer) got the guys behind Fourie (du Preez) and Schalk (Burger). While the All Blacks advance to the final and could become the first team to win back-to-back World Cups and also the first to win the trophy three times, the Bok lock would not go as far as Meyer in dubbing them the ‘greatest ever’. “It is difficult to say the greatest – there are different eras but it is a great team,” said Matfield, who joins English side Northampton after the curtain comes down on the tournament. “I have been fortunate enough to play in teams where you just know you are going to win the game, it doesn’t matter how far you are behind, you know you are going to win the game in the end. “I must say when I went on, I never saw panic in their eyes. “They just looked like a calm, solid unit that know what they are doing and have confidence in each other. “I think they have so much confidence in that team and they have great leaders making great decisions at the right times. South Africa will play Argentina in the third place play off.